Land Rover Discovery, Defender & Range Rover – How to Modify for High Performance & Off-Road Action by Ralph Hosier ? This paperback of 128 pages and 250 pictures (ISBN: 978-1-845843-15-1) has just been published by Veloce Publishing at £19.99 plus P&P. The book, covers all three Land Rover coil-sprung models; Defender, Discovery and Range Rover. From simple improvements to the extreme, there’s something for everyone. Easy to follow, jargon-free text explains benefits and pitfalls of each modification. It includes a comprehensive buyer's guide – which models to go for and which to avoid as well as practical maintenance and restoration sections to keep your Land Rover running and data sheets with vehicle dimensions, capacities and performance. Buying a Range Rover, Discovery or Defender can be just the start of a wonderful adventure. This book shows the possibilities available to the owner, from big wheels and suspension lifts, under-body protection and tuning ideas, right up to how to convert the car into a high speed racer or an international expedition vehicle. 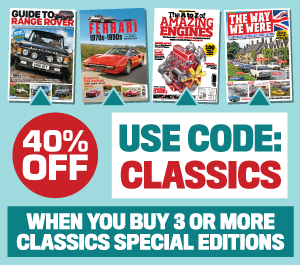 With clear, jargon-free instructions, advice on events like family weekend green-laning, international expeditions and full-on competition, accompanied by colour photographs throughout, this is the definitive guide to getting the most from these vehicles.